Welcome to The Uniko 6th Birthday Treasure Hunt! 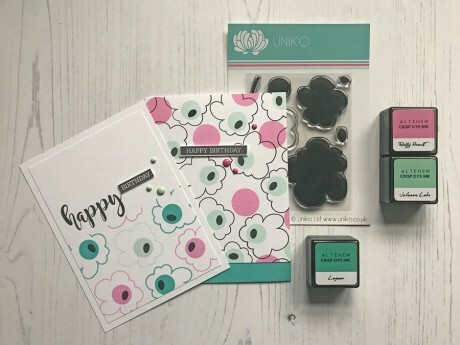 Over 6 years Uniko has produced 104 (not including 2018s) clear stamp sets and I am delighted that some of these early clear stamp sets are still popular today! 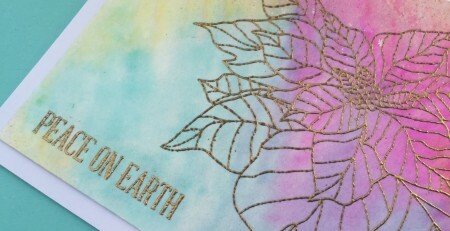 Today the Design Team and a couple of ‘special guests’ have created a FUN clear stamp set treasure hunt blog hop for you to join in on. The aim of the treasure hunt is for you not only to be inspired by each of projects the DT and our guests are sharing, but also to find a NAME of a clear stamp set from each of the 6 years Uniko has been going, from 2012 – 2017. Each person along the hop will have created a project using a clear stamp set from the year they were allocated. They will also mention the year that the clear stamp set was released somewhere in their blog post. 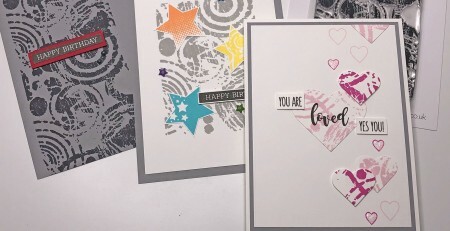 There are 11 amazing and inspirational designers in the hop and one Design Team Member has created 2 projects using 2 clear stamp sets from the six years. So there are 2 clear stamp sets from each of the 6 years to be found. Easy peasy! Then email your answers to bev@uniko.co.uk by 9am GMT Sunday 18th February 2018. You will then be entered into a prize draw. Keep reading to find out what the prizes are! So which clear stamp set was I allocated from the 104 I have designed over 6 years? Yep, you might have guessed correctly from the sneak peek you saw over at the start of the hop, Uniko Style! 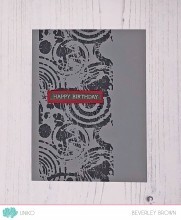 This little clear stamp set was released back in February 2017 during our 5th Birthday celebrations and it only seems fitting to revisit it and give it some more inky love. I decided to make a two cards using the set with a colour scheme inspired by the Uniko brand colours. The first card I made is my usual clean and simple style. 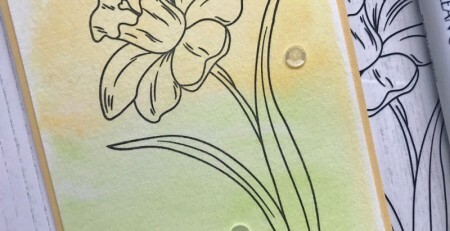 I started out by masking the top section of my white mat layer with post it notes and then proceeded to stamp the outline flower in the trio of colours, adding the large circular enters in the same colour and then the smaller oval black. 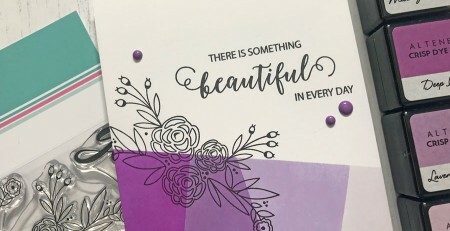 The sentiment is a mix from Happy Succulents and Simply Said Blocks, two other clear stamp sets that debuted in 2017. 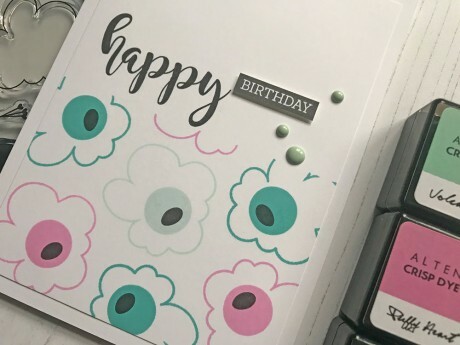 My next card was created organically and I had no layout planned out before I started stamping. 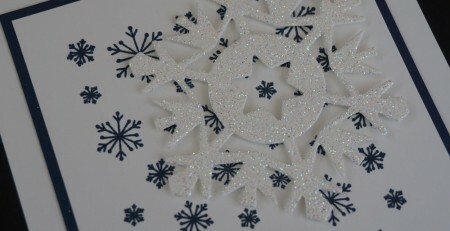 The only idea I had as my starting point, was to use the two small solid circular stamps from the set. I decided to stamp these randomly in the pink and aqua colours. 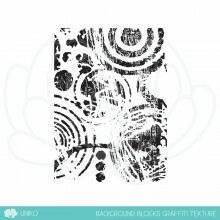 I then decided to use the outline flower shape, stamping it in black so that the aqua circles were inside. 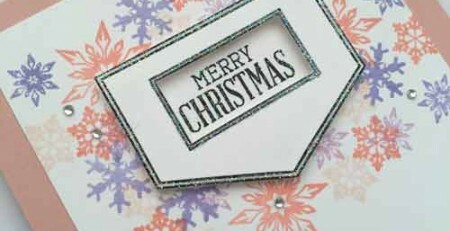 I then went in and added the oval black centres a sentiment from Simply Said Blocks and some Altenew enamel dots. 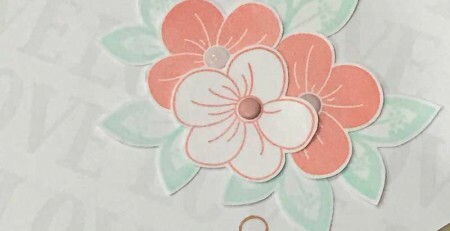 Having not used the turquoise colour from the Uniko brand, I decided to trim my stamped panel and add a small strip of Papertrey Ink Hawaiian Shores card to the lower section. That’s all I have to share using this clear stamp set today. Be sure to make a note of the name and year and hop along to the lovely Carol, to find the next clear stamp set and year in the Treasure Hunt! Now with any kind of celebration and hop there are prizes and this is what you could win by joining in on the Treasure Hunt. Yep, there is more fun and prizes to be won in the next couple of weeks leading up until Release Day February 28th! I will randomly select THREE winners from all the correct entries that name 6 clear stamp sets from each year (2012-2017), to receive an in stock clear stamp set of their choosing. 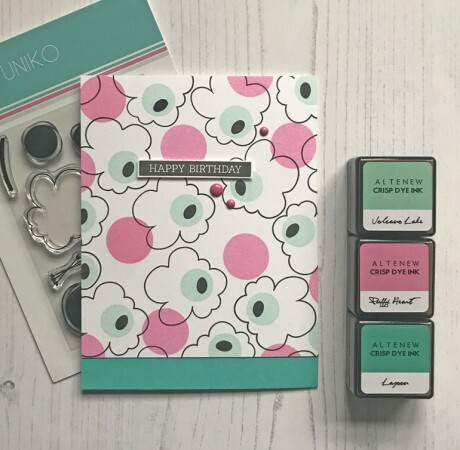 I will also randomly select ONE lucky winner to receive a £60 eGift Certificate to spend in the Uniko store to those who name and email all 12 clear stamp sets from each of the 6 years! Congrats on 6 successful years Bev and thanks for asking me to celebrate this special occasion. 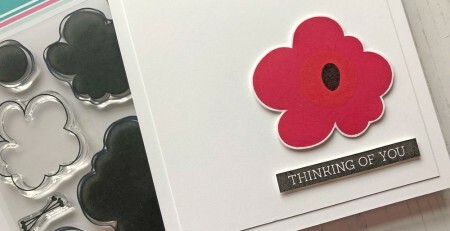 I love the colours you chose for your cards, so summery, just what we need right now. 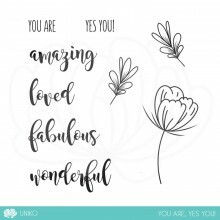 Happy 6th Birthday Uniko … well done Bev – what an awesome journey and here’s to the next 6!!! 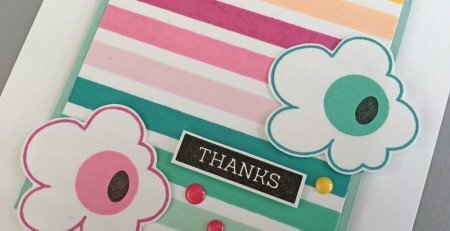 Wonderfull cards and I too like the colours you have used. And again congratulations on 6 years of great Uniko-stamps. Congrats on your 6th year Bev! Such happy creations in fresh look with simplicity! Love the inking! Bev, congrats to the Uniko-Birthday! Hope you may find a moment (or two?!) today to rest and enjoy the results of all the work and creativity you put into your company! Well done for such a long time! 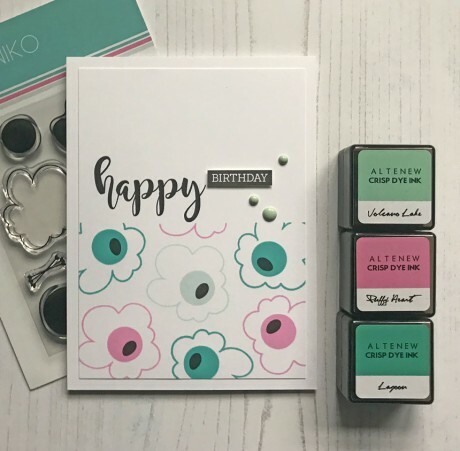 I will celebrate you and Uniko here in my craftroom with some of your stamps & stencils, a bit of cake and the memories of our weekend in December! Happy 6th birthday! And what a fun way to celebrate with a treasure hunt. Happy 6th Birthday!! 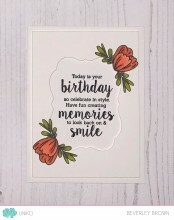 Fun celebration and delightful cards!! So happy for Uniko Bev, and more happy that I am part of Uniko. Now to your cards, I love all the Uniko colors you have used. I like to use the colors to make it more personal, you have totally nailed both the cards. Happy Anniversary! Fabulous hop, Bev, lots of gorgesou makes from the DT! Congrats on 6 awesome years! 104 sets… that’s amazing! 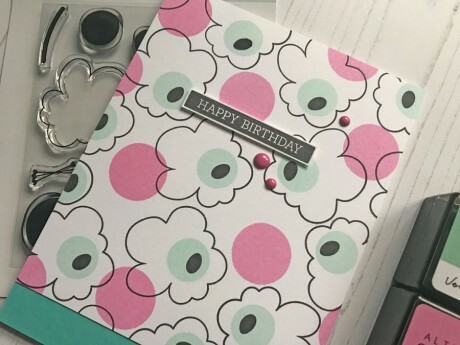 Love your color combo on these pretty cards! Happy Birthday Uniko and Bev! Your cards are so pretty and I love the colours. Your cards are GORGEOUS!!! Love them both!! Thank you for inspiration. I have been waiting for the weekend for this treasure hunt. Many Congratulations again Beverly! Many many more to come! Happy Birthday! 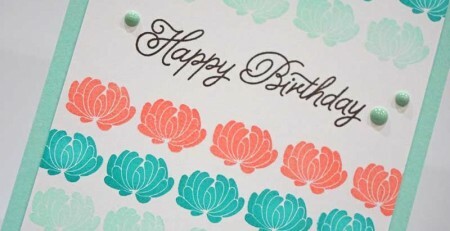 Lovely cards as always – the colours are soft and springlike!